Iiiiit's Friday - yaaaay! It's been a very relaxed-bohomian week here on My Scandinavian Home with so many exciting homes full of personality - I hope you've felt inspired? 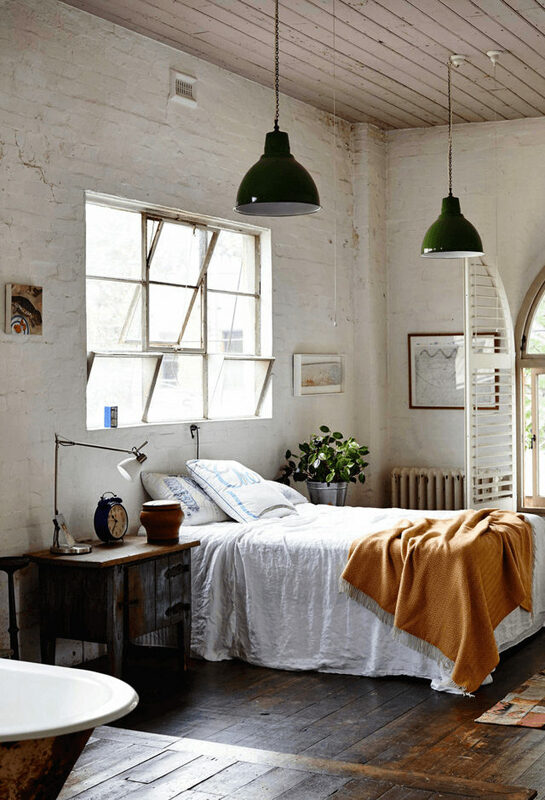 To round up the feel of the week I thought we'd head to Melbourne, Australia and the home of artist Saskia Folk in a converted factory. 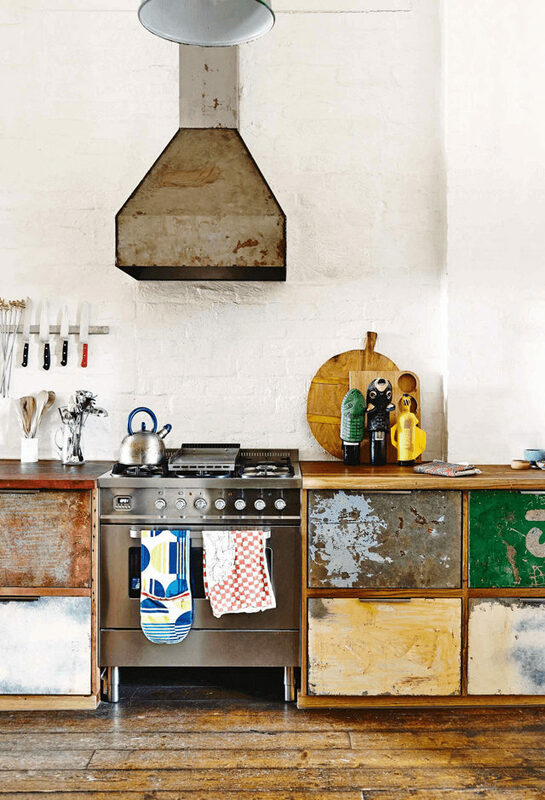 Think industrial with a relaxed vibe and the odd splash of colour. The perfect home to complete the week! Photographer: Derek Swalwell shared with kind permission. Stylist: Heather Nette King , found via House of C with thanks. 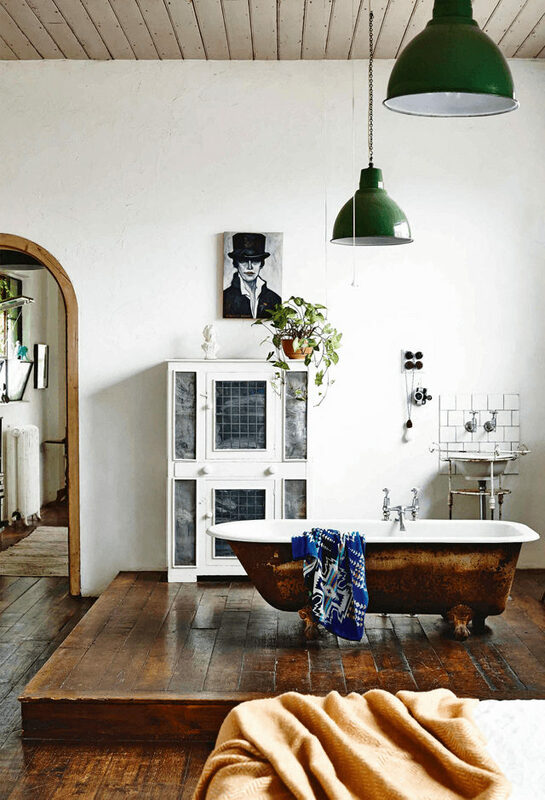 How I'd love to have a home in a converted factory like this - high ceilings, exposed bricks painted white, graciously worn wood floor, industrial pendant lights...that freestanding bath?! 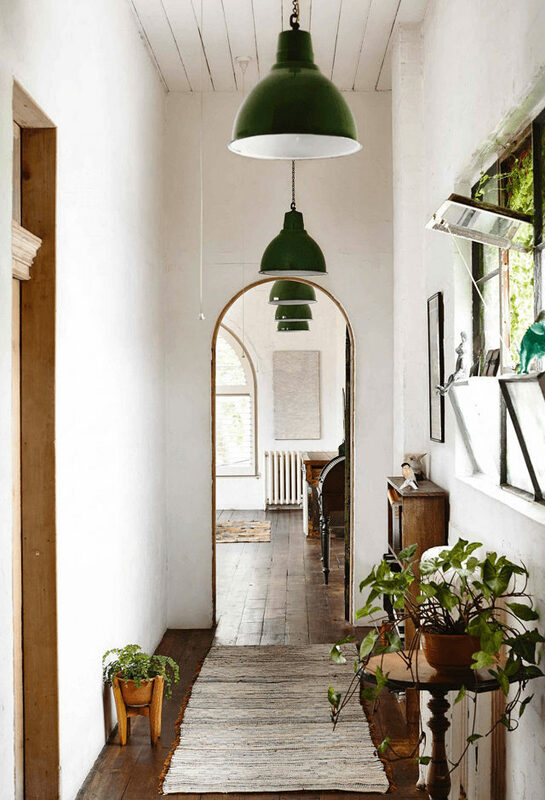 Get the look: similar vintage industrial-style pendant lights here, Source beautiful Boucherouite rugs here. Also love these factory conversion homes here, here and here. If you feel like dropping it all and moving to the Swedish countryside - this stunning mansion has just come on the market - oh the things you could do?! Or perhaps go one step further like this young Norwegian guy who quit his job to go hiking across Norway with his husky - beautifully captured here on Instagram. Back tomorrow with a very exciting give-away set to brighten up your weekend (there's a clue in there...). Oooo, what could it be?! PS I've had a few questions about the beautiful colours in yesterday's home and have since updated the post with some paint colours which are a good match. This is wonderful. I love these converted homes from factorys and such. 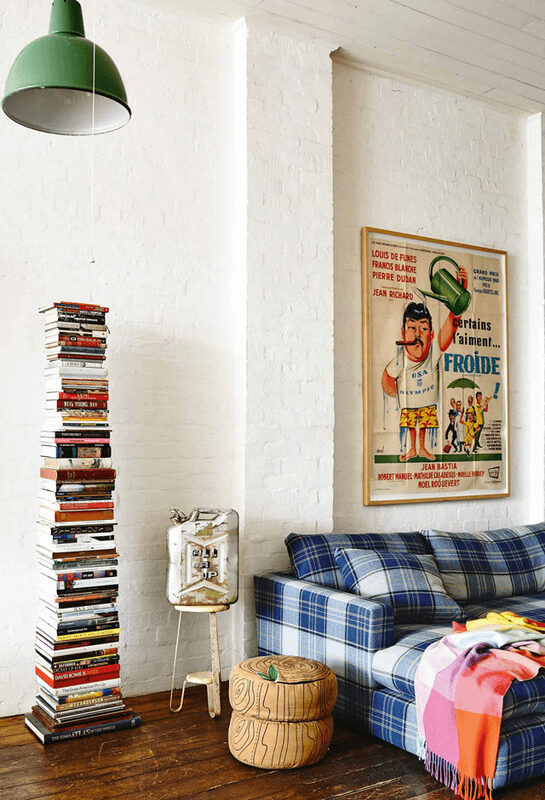 Love the high ceiling, the rough looks. It's so inspiring. Have a nice friday and a great weekend. 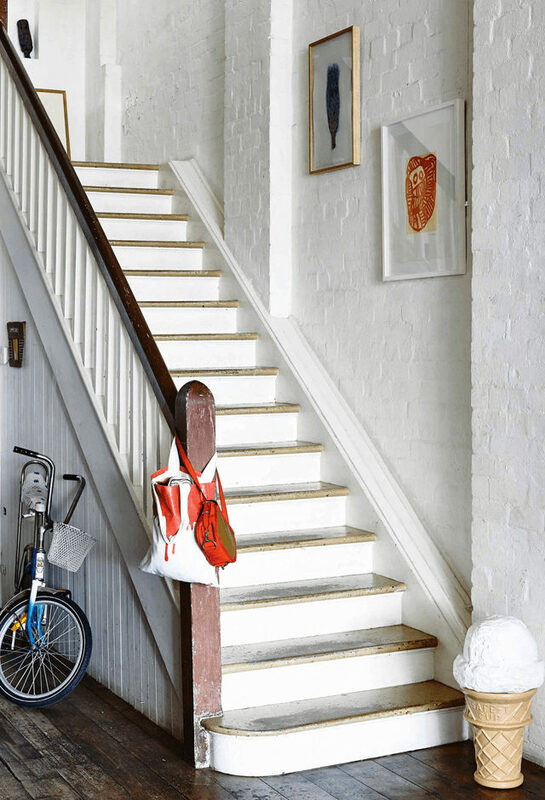 Such a gorgeous home, full of character! The kitchen especially is just...wow! Those cabinets had me swooning! I was wowed by the artwork! 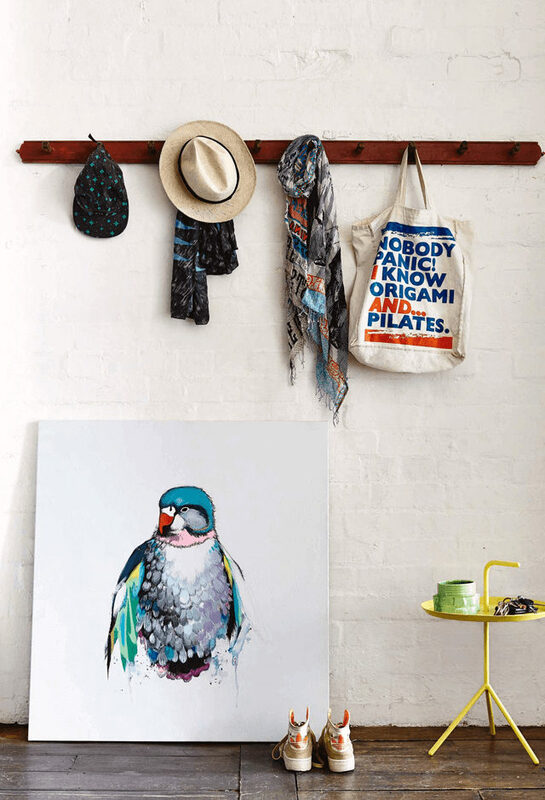 I have a Parrot, and I have tried to paint her...I just about choked on my toast when I saw the bird painting! I could would live there in a second! Thanks again for the inspiration! Thanks scandinavian for your nice post, here is an beautiful info who want to Sell House Fast in Atlanta or We buy houses Atlanta . I will visit your blog for nice idea for home decoration.